* We’re in the book of Exodus now, and three-hundred years after the time of Joseph, all of Abraham’s descendants, The Israelites, have become slaves in Egypt. They’re pretty pissed about it. * About this time, Moses is born. * God-As-A-Burning-Bush tells Moses He is going to rescue the Israelites from slavery, and that Moses will act as His mouthpiece. Moses goes all King’s Speech, whining about his stutter, and so God brings Aaron (Moses’ older brother) on board to announce to everyone all the things God speaks to Moses. Whew…let’s all take a breather, because that’s a lot to digest. Go ahead and grab some coffee or a quick smoke break or something. I’ll wait. So old man Moses is taking direction from God on how to get the Israelites out of Egypt, and because he’s human, and because God can be confusing, he protests and questions some of God’s plan. But in the end he trusts God and does as he’s asked, providing the people of Egypt the craziest experience of their lives. You see, God doesn’t just want to rescue His people from slavery, He also wants Pharaoh to know He is The One True God. So He puts on a little display to demonstrate His power. And we’re not talking about a mind-blowing Pink Floyd laser light show. For starters, when Pharaoh refuses to let the Israelites go, God turns the Nile River into blood. He doesn’t stop with just the Nile, but all the water in Egypt (including the water in jugs, cups, storage basins, etc.) also turn to blood. And it lasts for seven days. I think you get the idea. This is not a normal thing. People notice when ALL of the water in their life turns to blood. That’s a pretty strong showing of power in my book. But apparently Pharaoh didn’t think so, because he didn’t let the Israelites go. In fact, his own royal magicians also turned water into blood (Exodus 7:22) which is pretty impressive. So God moves on to Phase Two and produces a plague of frogs. Frogs start showing up everywhere, including people’s ovens (Exodus 8:3) which makes me wonder if they were instantly incinerated, or whether they were special “plague frogs” that were a lot harder to get rid of. (Also, it says that Pharaoh’s magicians summoned frogs too…which makes me wonder if they could have had the most amazing magic show Vegas has ever seen.) 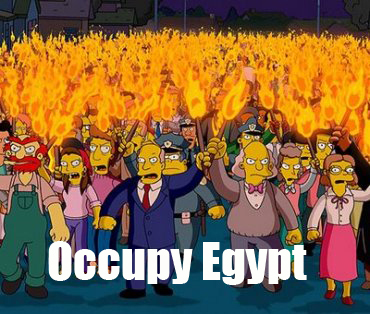 But again…can you imagine what that was like for everyone in Egypt? Think about the noise at night alone when millions of frogs are croaking at once. Or the fact that you’d be walking on frogs (living and squashed) everywhere you went. 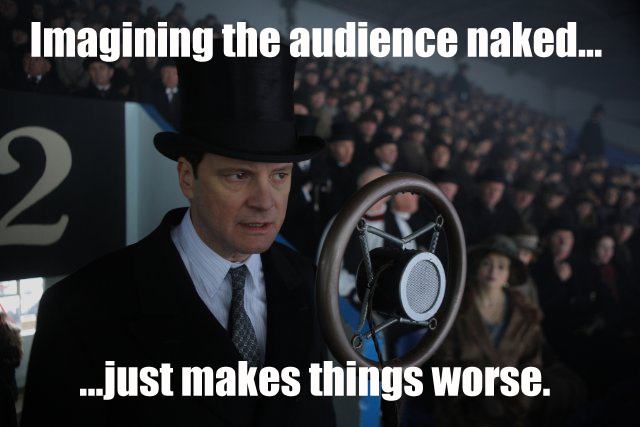 That would get really old, really fast. 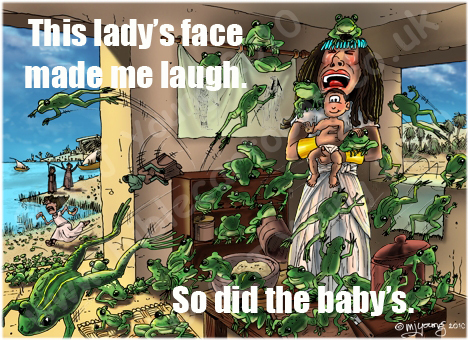 So Pharaoh relents saying he’ll let God’s people go…but as soon as the frogs are gone, he changes his mind. This pattern of relenting and then changing his mind continues as God brings more plagues on Egypt, setting the standard for a man struggling through some very serious commitment issues. During this time God also brings on a plague of gnats, a plague of flies, a plague destroying all the livestock in the country, a plague of boils appearing on everyone and a plague of hail. So…yeah. Evil dictators are the worst. Also, between this and the book of Job, I think God is doing a pretty solid job of showing us that having a fairly normal life, without being covered in boils, is a pretty huge gift in-and-of itself for mankind. Welcome to the book of Exodus. This entry was posted in Christianity, Exodus, Humor, Old Testament, Religion, The Bible and tagged Exodus, Frogs, Moses, Pharaoh Has Commitment Issues, Plagues, The Sackcloth Sucker-Puncher, The Shining, The Three Amigos by Mac. Bookmark the permalink. Mac, you are so great with illustrations. I frequently feel so disconnected from the Old Testament, but imagining opening the washer and my clothes being blood-stained makes that disaster a little easier to comprehend. And having read these stories before, I remember thinking “Frogs? Big deal!” But I suppose if I were to wake up tomorrow and was unable to see the ground due to layers of live and dead frogs, I would have debilitating panic attacks. I am still laughing, this post was SO funny!!! 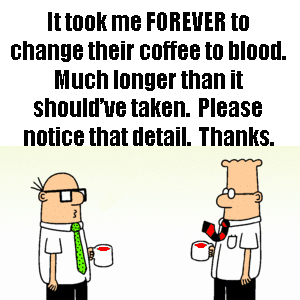 Good job with the blood in the coffee mugs… it really doesn’t look like it took that long, but I believe you. I can’t even comment on everything I thought was funny because I’d be here all night. Keep writing! I’m with Helena, this blog is HILARIOUS!! ALL the way through. Thank you for your attention to detail as well. So epic! Thanks Mac and keep it up!! Ahh I absolutely adore Exodus – I’m so glad we’ve made it here!